Better service ceiling than A6M5, acceptable in most situations the Ki-61 will face. Two more guns than its direct predecessor. Can tear most tier 5s a new one. With top engine, is considerably faster than the Ki-43-II. While it has more guns than its direct predecessor, they can feel underwhelming at times. Despite having a better engine than its Zero counterpart, still doesn't hold a candle to Mustang or Bf-109 engines. Wings and tail are noticeably prone to damage. HP pool makes it rather prone to getting ganked by autocannon fire. At this point the Ki line no longer holds the best turn radius, the yak-1 line takes this distinction from here on out. While fans of the Ki-43-II will appreciate the enhanced characteristics and two additional guns the Ki-61 offers upon reaching it, for the most part the Ki-61 can be seen as relatively unremarkable, if not just a little below average compared to other fighters of its tier. While it does offer two more guns over the Ki-43-II - which are quite helpful - the overall firepower of the Ki-61 is rather lackluster at this tier at times, not improving very much in terms of actual bite of individual shells. It is similar to the armament situation between the P-51A and P-51D, while there is a little more gun to go around, the overall DPS does not increase much. Those familiar with the mustang line will be familiar with the eventually evident gun-power gap the Ki-61 falls into, and how its immediate successor leaves it in the dust. That said, a competent Ki-61 pilot is still not to be laughed at. 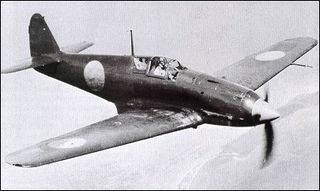 While the Ki-61 does not provide much in terms of better damage-per-shell over its tier 5 predecessor, it does retain a very dangerous maneuverability that almost all other fighter pilots will have to respect if they intend to best you, the only exception being Yak-1 & Yak-1M pilots, the latter more than the former (a 1/3 of a second and 1/2 a second turn time superiority, respectively). At this point, Ki line pilots will either have to refrain from getting into extended turn fights with these fighter craft, or learn the hard way. Despite losing this advantage, Ki-61 pilots will enjoy a noticeably higher service ceiling than Yak-1M pilots, as well as a better cruising speed. While it is a far cry from a Bf-109 or a Mustang, or even a Spitfire, the Ki-61 can at times be able to surprise opponents with a decent ability to get to where it might be needed most. In particular it - and the Ki-84 as well - can especially excel at ambushing enemy fighters that are preying upon friendly ground attack craft in relatively short order. Overall, the Ki-61 marks the point where the Ki line shifts from focusing entirely on being able to out-turn any and all opponents - to being still relatively nimble in a turn fight, but not sacrificing all of its speed and service ceiling to achieve it like the Yak fighter line begins doing starting with the Yak-1. 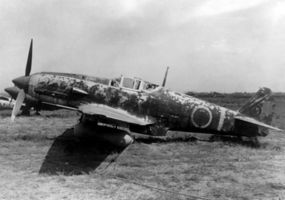 The Kawasaki Ki-61 Hien (飛燕, "flying swallow") is a Japanese World War II fighter aircraft used by the Imperial Japanese Army Air Force. The first encounter reports claimed Ki-61s were Messerschmitt Bf 109s: further reports claimed that the new aircraft was an Italian design, which led to the Allied reporting name of "Tony", assigned by the United States War Department. 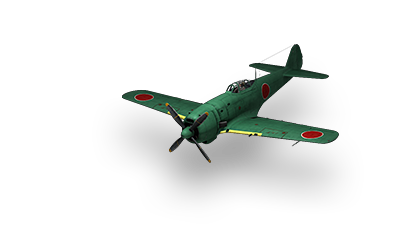 The Japanese Army designation was "Army Type 3 Fighter" (三式戦闘機). It was the only mass-produced Japanese fighter of the war to use a liquid-cooled inline V engine. 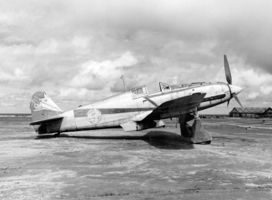 Over 3,000 Ki-61s were produced. Initial prototypes saw action over Yokohama during the Halsey-Doolittle Raid on 18 April 1942, and continued to fly combat missions throughout the war. 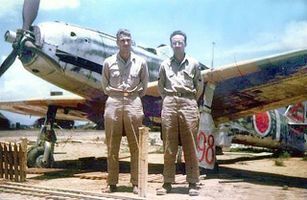 An ex-23rd Sentai, 2nd Chutai Ki-61 found and photographed at Inba airbase by USAAF personnel in 1946. 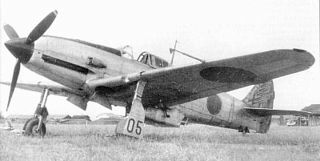 Kawasaki Ki-61 pictured at an airfield in Fukuoka, Japan, c. 1945. This page was last modified on 20 September 2018, at 17:22.